This step of the wizard enables you to adjust the properties of your default personal calendar. You can name the calendar, adjust its display properties, and define the default reminder and action settings to be used when creating new events. You can also do this from the Calendar Properties command of the Edit menu. Any calendar name can be specified, as long as it is unique and non-blank. This name will appear in the Calendar List. Your default personal calendar appearance can be modified as described here.. This can also be done using the Appearance Toolbar. The appearance settings will be used by all new and existing events belonging to the calendar. 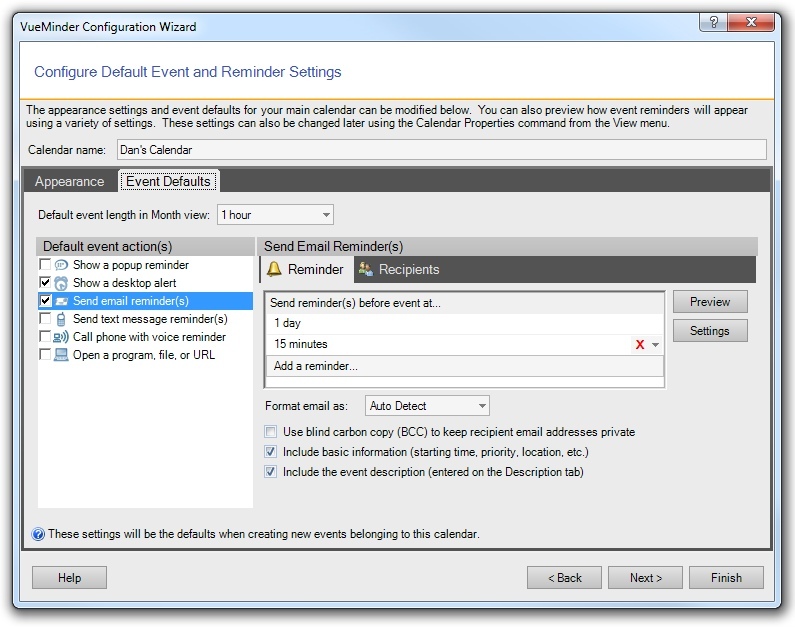 Default event properties can be specified for your calendar. These will be used when new events belonging to the calendar are created. In the example screenshot below, any new events belonging to "Dan's Calendar" will show a desktop alert reminder. Reminders will also be sent via email. If you add other calendars later, those can have their own event defaults, specified using the Calendar Properties command from the Edit menu. Default length in Month View - This is the default event length to be used when creating a new event in the Month view. You can select a length from the list, or type in any length of time, from minutes to months. Events can also default to being all day. 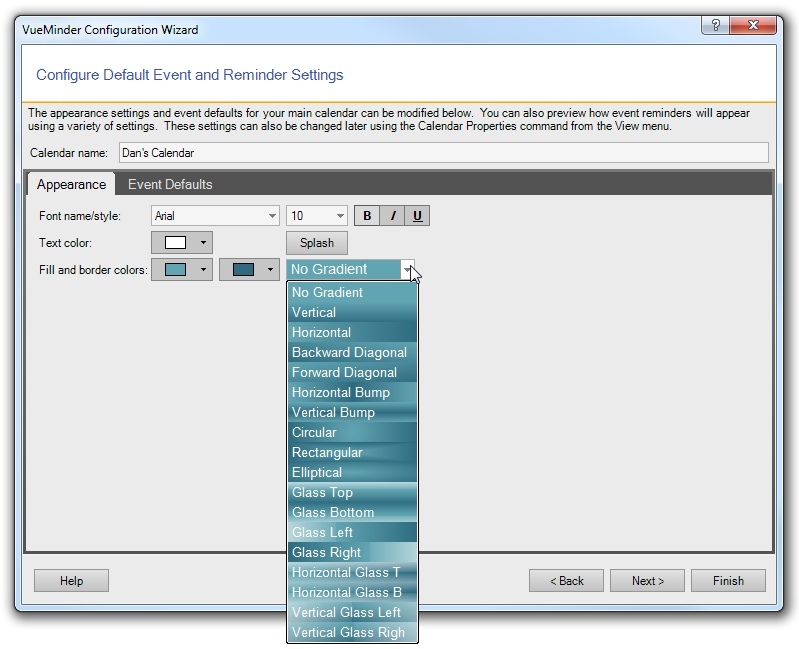 After you're satisfied with your calendar's appearance and event defaults, click the Next button to proceed to the next step of the Configuration Wizard.